The record is made up of 1 volume (88 folios). It was created in 25 Nov 1929-5 Nov 1942. It was written in English and Arabic. The original is part of the British Library: India Office The department of the British Government to which the Government of India reported between 1858 and 1947. The successor to the Court of Directors. Records and Private Papers. The dispute between Shaikh Sultan bin Saqr and the sons of Shaikh Khalid, a former ruler of Sharjah, over the area of Dhaid and how this affected a geological expedition. Correspondents include Gordon Loch, Political Agent A mid-ranking political representative (equivalent to a Consul) from the diplomatic corps of the Government of India or one of its subordinate provincial governments, in charge of a Political Agency. , Bahrain and Shaikh Rashid bin Humaid, Ruler of Ajman; Residency A diplomatic office of the British Government established in the provinces and regions considered part of, or under the influence of, British India. Agent, Sharjah. Punishment of the Shaikh of Fujairah (Shaikh Hamad bin Abdullah al-Sharqi). Correspondents include the Political Agent A mid-ranking political representative (equivalent to a Consul) from the diplomatic corps of the Government of India or one of its subordinate provincial governments, in charge of a Political Agency. , Bahrain and British Consul, Bushire. The proposed establishment of customs houses at Debai, Sharjah and Ras al-Khaimah as retaliation against Persian customs proposed at Henjam and elsewhere. The Residency A diplomatic office of the British Government established in the provinces and regions considered part of, or under the influence of, British India. Agent, Sharjah informed that there was no substance to this report but the Shaikhs were annoyed at their subjects' boats being arrested by Persian Customs inspectors at sea. Correspondence from November to December 1929 between the Senior Naval Officer, Persian Gulf Historically used by the British to refer to the sea area between the Arabian Peninsula and Iran. Often referred to as The Gulf or the Arabian Gulf. and the Political Resident A senior ranking political representative (equivalent to a Consul General) from the diplomatic corps of the Government of India or one of its subordinate provincial governments, in charge of a Political Residency. , Persian Gulf Historically used by the British to refer to the sea area between the Arabian Peninsula and Iran. Often referred to as The Gulf or the Arabian Gulf. . Includes a statement from Abdur Rahman, son of Khan Bahadur Isa bin Abdul Latif, Residency A diplomatic office of the British Government established in the provinces and regions considered part of, or under the influence of, British India. Agent, Sharjah on an attack on women seeking refuge in the Residency A diplomatic office of the British Government established in the provinces and regions considered part of, or under the influence of, British India. Agent's house from attack by their male relatives. Correspondence reports that Shaikh Sultan bin Salem of Ras al-Khaimah, declined to take action against these men until pressured by the Commander of HMS Crocus . Recognition of the Shaikh of Kalba by His Majesty's Government as Ruler of Kalba and accordance of a personal salute of three guns. Kalba moved from the responsibility of the Political Agent A mid-ranking political representative (equivalent to a Consul) from the diplomatic corps of the Government of India or one of its subordinate provincial governments, in charge of a Political Agency. , Muscat to be dealt with by the Political Agent A mid-ranking political representative (equivalent to a Consul) from the diplomatic corps of the Government of India or one of its subordinate provincial governments, in charge of a Political Agency. , Bahrain and Residency A diplomatic office of the British Government established in the provinces and regions considered part of, or under the influence of, British India. Agent, Sharjah. Correspondence consists of a circular between the Political Resident A senior ranking political representative (equivalent to a Consul General) from the diplomatic corps of the Government of India or one of its subordinate provincial governments, in charge of a Political Residency. , Persian Gulf Historically used by the British to refer to the sea area between the Arabian Peninsula and Iran. Often referred to as The Gulf or the Arabian Gulf. and the Air Officer Commanding, British Forces in Iraq; Senior Naval Officer, Persian Gulf Historically used by the British to refer to the sea area between the Arabian Peninsula and Iran. Often referred to as The Gulf or the Arabian Gulf. and the Political Agents in Kuwait, Bahrain, Muscat. A note on Abu Dhabi customs and revenues by E.V. Packer, Petroleum Concessions Ltd. Notices issued by the Shaikh of Sharjah on customs charges. Translation of a letter from the Residency A diplomatic office of the British Government established in the provinces and regions considered part of, or under the influence of, British India. Agent, Sharjah, to the Political Agent A mid-ranking political representative (equivalent to a Consul) from the diplomatic corps of the Government of India or one of its subordinate provincial governments, in charge of a Political Agency. , Bahrain. 14/252 I. Notices issued by the Shaikh of Sharjah on cusotms charges. Translation of a letter from the Residency A diplomatic office of the British Government established in the provinces and regions considered part of, or under the influence of, British India. Agent, Sharjah to the Political Agent A mid-ranking political representative (equivalent to a Consul) from the diplomatic corps of the Government of India or one of its subordinate provincial governments, in charge of a Political Agency. , Bahrain. 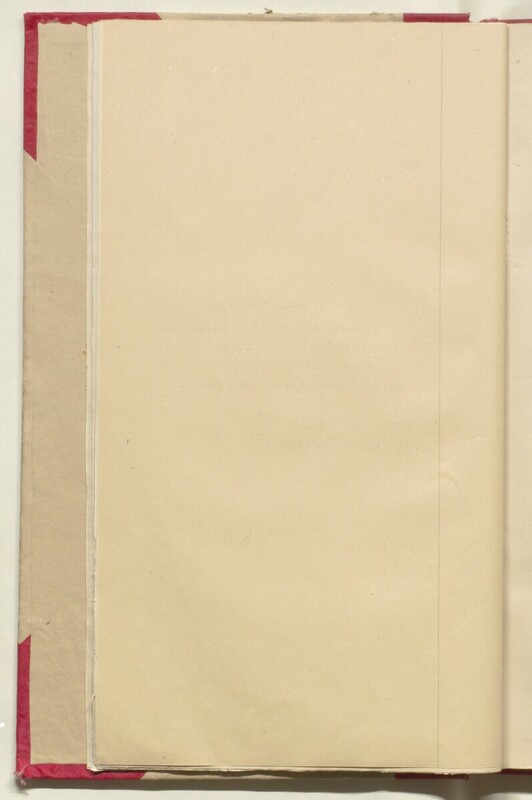 The papers in the file are arranged according to topic. Foliation: The sequence consists of circled numbers in pencil located in the top right hand corner of the recto The front of a sheet of paper or leaf, often abbreviated to 'r'. of each folio, running from the front cover to the last folio.